added to a warm bath will invigorated your fatigued body!! Pour ACV over your shoulder and chest. Which when bathing is washed away!! 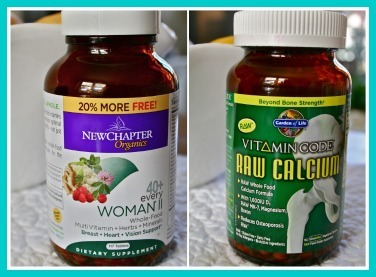 Vitamins are the BEST Weight Loss Supplements and the healthiest. Many companies tout their pills as being "safe and healthy" for losing weight. But in most cases if the product is not real vitamins it will generally not be good for your body and surely won't help you lose weight. These are the weight loss supplements necessary for your health plan. A healthy body, loses the pounds faster than an unhealthy one. Because when our bodies have what they need they don’t crave for more. We starve our bodies and this leads to binging. A cookie or a piece of cake would keep us alive if it was the only food we had to eat. Since we have such a rich variety of choices sweets won't be on the menu. There are a few vitamins and minerals that assist in controlling weight. Vitamins B2, B3, B5 (pantothenic acid), B6, C, choline, inositol,chromium, manganese and zinc. Please don’t rush out to the pharmacy and grab up a fistful of these weight loss supplements. Because I want you to live! An over abundance of vitamins and minerals can kill as dead as a bullet can. Might just take a little longer to die! Always, always read the dosage requirement and never go above the RDA unless an expert has given you the ok! "There are 2 Categories of Vitamins"
We have two categories of vitamins: fat-soluble and water soluble. Fat-soluble is any vitamin that dissolves in fats. Vitamins are absorbed together with fat from the intestine, into blood circulation, ultimately to be deposited into cells. Fat-soluble vitamins can be dissolved in oil or in fat. Vitamins A, D, E and K make up the fat-soluble list. Vitamins A, D and K are stored in the liver and vitamin E is distributed throughout the body's fatty tissues. The body does not need A, D, E, and K every day if we are storing enough by way of our diets. Because fat-soluble vitamins are stored for longer periods they pose a risk of higher toxicity levels than water-soluble vitamins when consumed in excess. Eating a normal, well-balanced diet won't lead to danger in healthy individuals. However taking vitamin supplements that contain huge doses of vitamins A, D, E and K may cause severe reactions. Use good sense, remember, the body only needs small amounts of any vitamin. Fat-soluble vitamins are stored in the liver and fatty tissues, and are eliminated much more slowly than water-soluble vitamins. are not stored in the body making it simple to become deficient in them. They are eliminated during urination. The only exception is vitamin B12 which is stored in the liver. Vitamin C and the B’s are stored in the body for brief periods then excreted by the kidneys. Vitamin C (ascorbic acid) and the B complex group make up water soluble vitamins. Water-solubles can easily be destroyed during food storage or cooking. Proper storage and preparation of food can minimize vitamin loss. To reduce waste, refrigerate fresh produce, and use the cooking water from vegetables to prepare soups. You'll be around a much longer time "to watch the birds" if you use common sense when it comes to weight loss supplements and dieting!! If your common sense is telling you the diet plan or diet supplement doesn't feel right. It's as simple as saying, No! !